Nowadays, more and more people pay attention to oral health, and more and more people care about the whitening of teeth. Of course, there are also a variety of products that whiten teeth. In fact, teeth whitening is not so simple, correct the brushing habits in life to keep the mouth clean, appropriate choice of some whitening methods can easily make the teeth white. Teeth whitening is a very common cosmetic dental procedure and it is available virtually everywhere. This is a fast, affordable, and efficient way to improve your appearance, especially when you smile. White teeth are a sign of healthy teeth and are important in today’s society. Teeth whitening is a booming, billion-dollar business, but would you get it done in a mall? 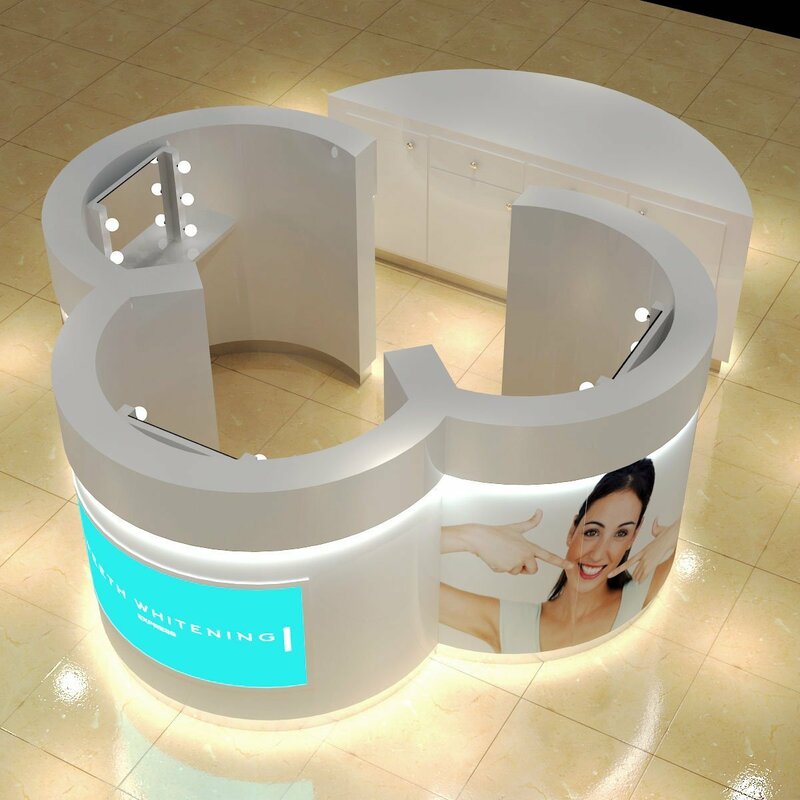 Whitening kiosks are popping up in malls across the country. But how safe are they? While walking through the mall, you can see some teeth whitening kiosk. 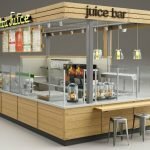 These kiosks are becoming more popular since many people like their convenience. When clients sit in the chairs, they may think that a trained dentist will be working on their teeth. 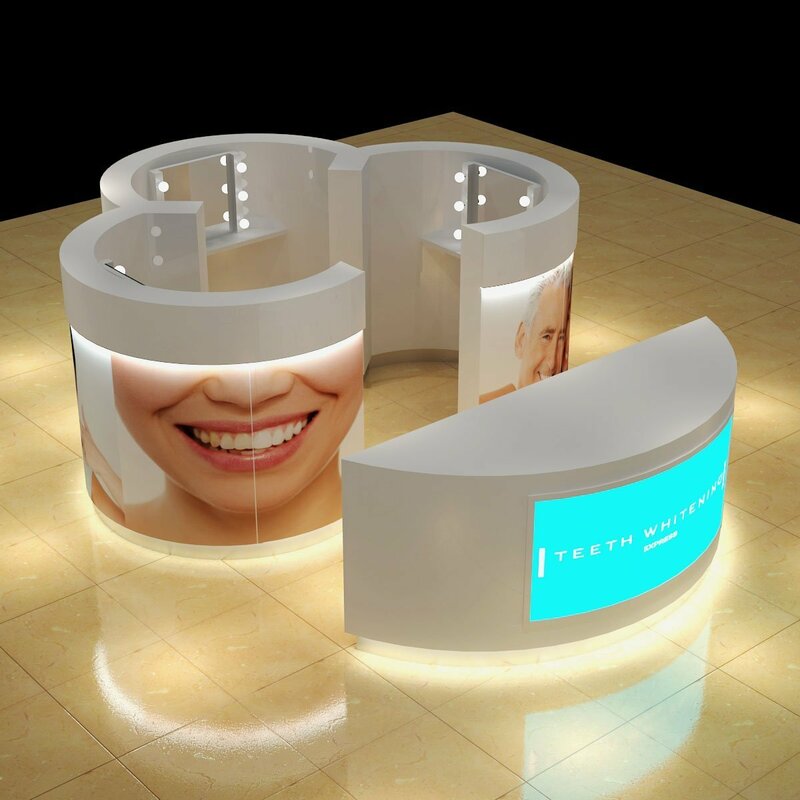 So you want to start the teeth whitening kiosk, it is better for you to open a wonderful teeth whitening kiosk in the shopping mall. 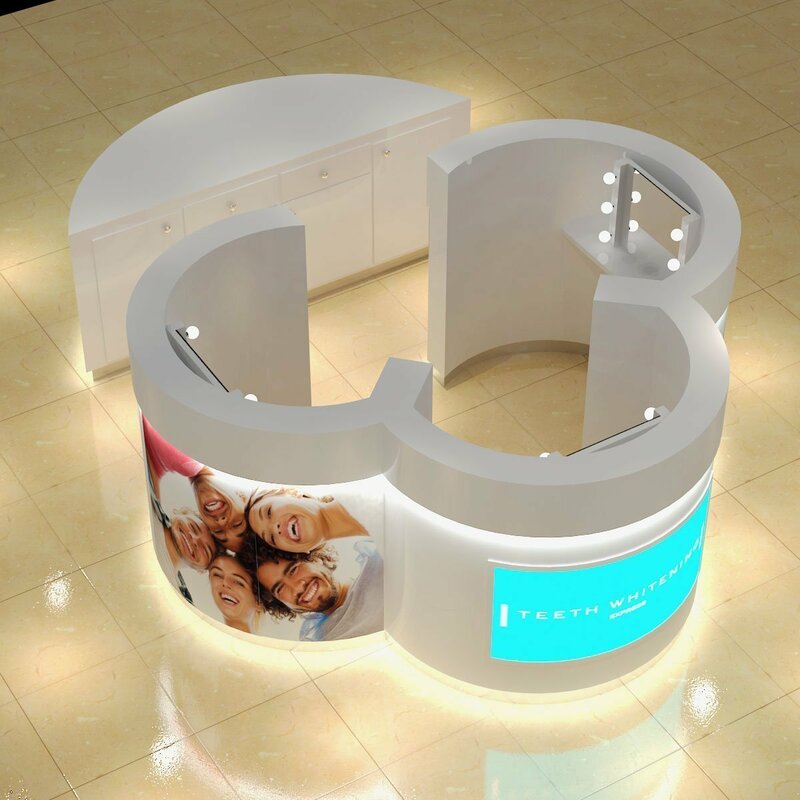 The above picture is the teeth whitening kiosk we shipped to Melbourne Australia, the size is 4 x 3 m. The basic material is MDF ( medium density fiberboard ), surface finishing white baking paint. Other is include the lighted boxes, LED strip lights, mirrors, same lock with key and so on. If you want to design the one teeth whitening like this one, welcome to inquiry. 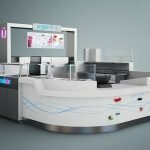 Unique Furniture Ltd is the customize factory and has a strong and professional design team. We can design new and unique teeth whitening kiosk all as your requirements. Any colors and any size are both ok. The size depends on your location what you get.